Smart Seating Solutions are proud to be importers of Vela Tango Chairs, a truly unique Danish seating range. Built around the concept of Stability whilst offering exceptional Ergonomics, this range of chairs is ideal for anyone with postural problems and for those wishing to get into and out of a chair safely and securely. 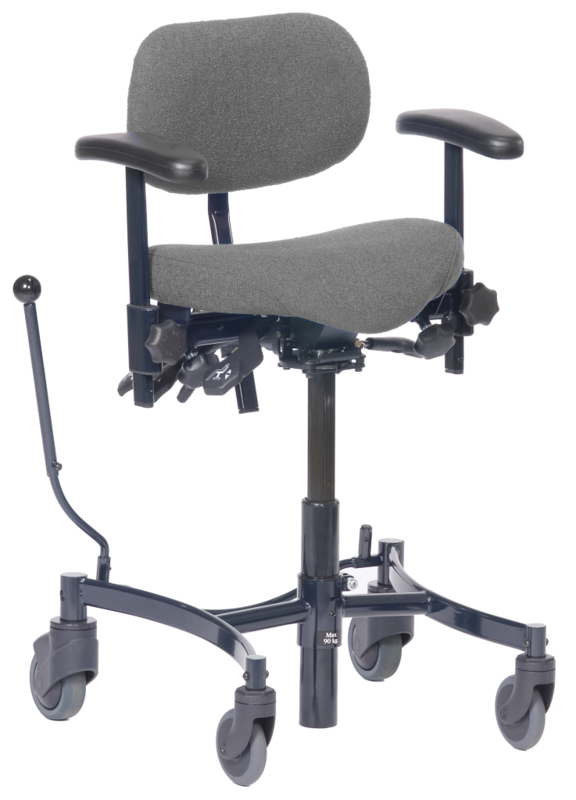 The Vela Tango range of chairs has a unique brake system, which our back care and wheel chair users find invaluable. The chair’s two rear castors can be locked into place, simply by activating the brake lever. Once locked into place a Vela Chair will not move in any direction – it will not even rotate – until you lift the rotate lever. 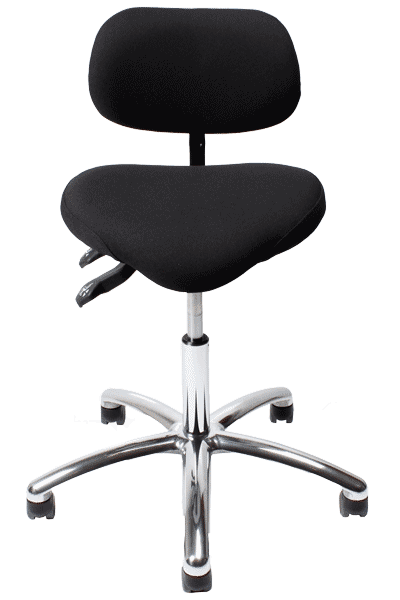 This feature allows the user to get onto and off the chair safely and securely. So you’ll have no more worries of the chair rolling away from you when you stand, side transfer or even fall into your chair! The arms on the Vela Tango Chairs can also be dropped down completely flat for side transfer if needed. The chairs in the Vela range all utilise the same style of base: compact with 4 large 100mm Castors, 1 in each corner. Our customers have found that this design offers true stability – giving more confidence when in use – and you can benefit too. As a customer, you’ll also have the added security of knowing that your Vela Chair exceeds European Safety Standards. Having the castors set in the corners frees up the space where your feet rest, making ‘Walking’ the chair so easy. You will find this feature a real benefit for ‘scooting’ around the office or the home environment. This gives you more independence – for example when cooking in the kitchen. This range is available in two operating formats. Manual Gas, with various heights available and our biggest seller, and the Electric Lift Vela Chair. Vela chairs can come with an electric lift mechanism. This means that those who find it difficult to stand up unassisted can effortlessly be lifted into a standing position for easy exit from the chair. This has allowed some individuals with disabilities to remain in work. Furthermore, it has allowed them to sit in a chair that is extremely comfortable but looks like a normal chair. One frequent comment that we hear from our customers “I didn’t realize it was an electric lift chair!” Vela Chairs are built to look and feel like an ordinary office chair, so you don’t stand out as needing a specialist chair for a bad back or a disability. All of the specialist adaptations are cleverly concealed within its ergonomic design so you can feel comfortable in every way. 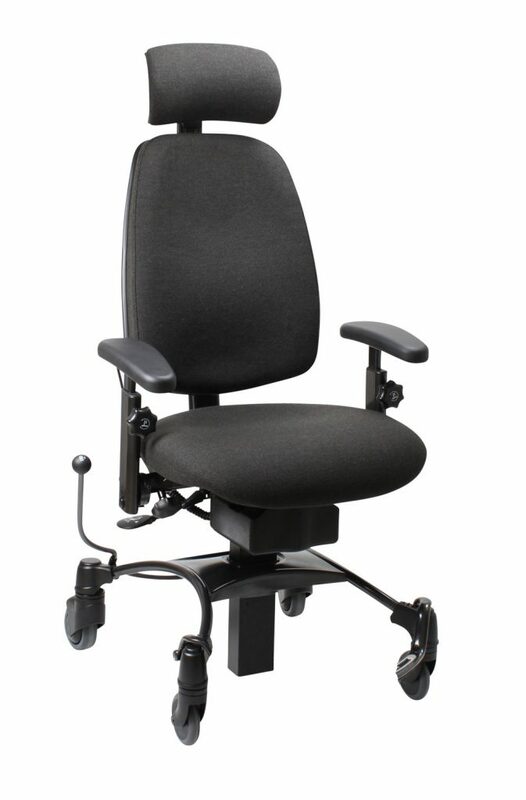 Some of the Chairs in the range can also be used as perching stools by operating the forward tilt mechanism. This means they are frequently supplied into schools and colleges for use at science benches, due to the 300mm seat height range of the actuator. But it isn’t just students who can benefit from their design – Vela Chairs are suitable for back sufferers in any office.